Contact Haf at Ty Gwyn on 01691 780388 or complete the enquiry form. Ty Gwyn is a 17th century traditional Welsh cottage hidden in the fantastic and picturesque village of Llanarmon Dyffryn Ceiriog in the famous Ceiriog Valley, 'A little piece of heaven on earth' as quoted by Lloyd George. Ty Gwyn has three bedrooms - The double room has a large antique wooden bed and high ceilings. The large twin room maintains the character of this period house. The bunk room (leads from double) is ideal for children or adults as it benefits from large pine bunk beds. After a long day’s hiking, take a bath in the luxury whirlpool with shower (ground floor). Ty Gwyn has a lovely large fitted kitchen which is equipped with dishwasher, washer/dryer, fridge/freezer, microwave and all other kitchen equipment. After cooking up a storm in the kitchen why not enjoy your meal in the dining room which has been decorated to a high standard and maintains its traditional inglenook fireplace or from the comfort of the conservatory? After finishing your supper make your way in to the comfort of the sitting room which has a lovely cosy and warm feeling with a log burner and comfortable seating, TV, DVD player, Freeview television and WiFi internet access. Ty Gwyn has central heating throughout. For Relaxation there is a Luxury Hot Tub within an All Weather Gazebo. Ty Gwyn has fantastic enclosed dark beams with inglenook fireplaces, Welsh dresser and an original feature – the old slate and stone staircase – now filled with old artefacts from the local area. Ty Gwyn benefits from two gardens. The front garden is an ideal place to watch the village go by and the back garden looks out on to a field of grazing sheep. 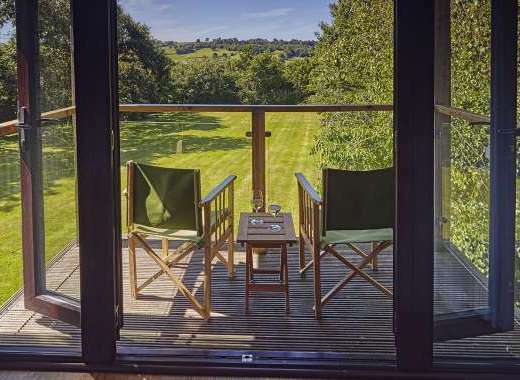 The garden has a bbq and sitting area and the hot tub is housed within the all-weather gazebo. Parking is situated by the chapel opposite the cottage. The local villages of Llanrhaeadr Y.M and Glynceiriog are a short 4 mile drive away. Pony and quad trekking within 10 miles, Lake Vyrnwy within 13 miles and Pistyll Rhaeadr (one of the seven wonders of Wales) on the doorstep. The cottage has numerous brochures with ideas of exciting places to visit. All short break prices are based on four sharing. Prices may vary for bigger group bookings. 50% of deposit should be received within a week of booking. Full payment should be made at least eight weeks in adavnce. In the event of a cancellation that is covered for a cancel refund (Accident, ill-health - through Doctors letter), Payment will be made at 80%. 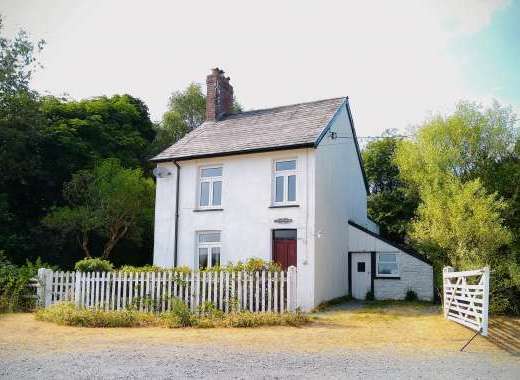 Ty Gwyn is a 17th Century cottage with many original features intact. Ty Gwyn benefits from a lovely conservatory with fantastic views of the neighbouring countryside. Ty Gwyn has an inglenook fireplace and an old fashioned stone and slate staircase which is filled with old artefacts and antiques! The house also has lovely original beams running throughout and an old - fashioned bread oven hidden in one of the walls! Enclosed Garden: Ty Gwyn has a front garden and a larger back garden. Llangollen (multiple attractions including the Canal and Steam train), The famous Horseshoe pass, Llanrhaeadr Y.M waterfall (one of the seven wonders of Wales), The famous Erddig Hall (chosen as the best estate home on the BBC), The historic city of Chester witha large Zoo and Aquarium and retail park (Cheshire Oaks), The historic Market town of Oswestry with the Victorian Park Hall Farm, Lake Vyrnwy for fantastic walks and bird watching (RSPB), Powys castle (National trust property), and Wales' largest natural Lake by the of Bala. North and Mid Wales' beaches an hour and a halfs drive away. Snowdonia is a good hours drive away. Recommended Places to Visit: Please see above. Recommended Places to Eat Out: The Hand at Llanarmon and The West Arms both with award winning chefs serving local produce when available. The Royal Oak in Glynceiriog is a 10 mins drive away - taxis can be arranged. Local Sports: Walking, Mountain Biking, Pony trekking and fishing. A quaint and beautiful little village in a rural setting.